The Pardes Community Batei Midrash initiative creates empowering, hands-on and deep Jewish learning in local communities across North America. The aim is to create sustainable and transformative adult Jewish learning in the these cities. Founded by Pardes alumni of the Executive Learning Seminar, the Nashville Pardes Learning Group, now in its second year, is a bi-weekly educational program exploring the topic of Details & Fairy Tales: Understanding the Talmud’s Take on Modern Questions. This series is ten sessions, both online and in person, taught by Rabba Yaffa Epstein. The program will run Sundays, November 2017 through April 2018. Click here for more information. Last year’s series explored the topic of Brothers and Sisters: Sibling Rivalry in the Torah. Stay tuned for our programming in 2019! open, stimulating and inviting learning community in Pittsburgh that convenes Jews of varied backgrounds to study issues fundamental to Jewish life and tradition through ongoing, respectful, and serious dialogue and text study. In January 2017, Kulam launched a Jewish Wisdom and Eternal Human Dilemmas course with Rabbi William Friedman, adjunct faculty of Pardes. Participants met once a month for lectures and havruta study and in addition, online sessions were open for those who wished to dig deeper into the text. 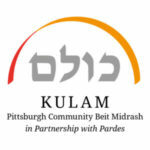 Kulam was created with the generous support of independent donors, the JCC of Greater Pittsburgh, the SteelTree Fund of the Jewish Federation of Greater Pittsburgh, and the Jewish Life and Learning Department of the Jewish Federation of Greater Pittsburgh. The Brooklyn Beit Midrash was founded by five locals, including four Pardes alumni, who wanted to recreate their deep and intensive, yet warm, open and relevant Pardes Torah learning experience in Brooklyn. Since April 2016, Brooklyn Beit Midrash has met monthly with 30-40 people from all backgrounds. Pardes helped to incubate this beit midrash, sharing resources, content, Pardes faculty and best practices, and now the Brooklyn Beit Midrash is an independent entity creating rich co-educational and cross-communal learning for the community. For the last three years, Pardes together with partners from Mechon Hadar, Drisha Institute, Yeshivat Maharat, Yeshivat Chovevei Torah and the Jewish Theological Seminary, have been involved in organizing the Community Beit Midrash of Manhattan. Every month faculty members from a different institution lead the learning evening, which is open to the broader Manhattan community. Continuing in Fall 2018 on October 20, Nov 6, 13 and 20. For more information about these programs or to find about creating a Pardes Community Beit Midrash in your area, contact Rabba Yaffa Epstein, Pardes Director of Education in North America via yaffa@pardes.org.il or +1 212 447 4333.